Every year in December, around my birthday and Christmas, I get a call from my Mom. She asks me if I’ll like the gift she got me. Note that I really have no idea specifically what the gift is, but only a good hunch that it is clothes, and if I don’t like it, I can always return it as she has the receipt. Or is there something else I would like. This used to drive me crazy – how am I supposed to know whether I will like it or not, or if it will fit if I haven’t seen yet, not to mention, kind of wrecking a possible surprise. This year though, while I was on the phone to my Mom, it got me thinking about how sad it will be when one day that call will no longer comes. 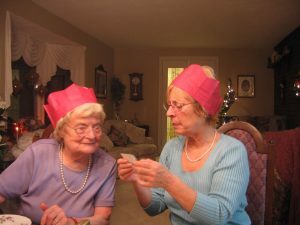 It will just be a memory of the many ways my Mom tries so hard to make Christmas so special for us all through her love and care. Life is short, time with loved is short, and no one of really knows how much time we have left. Stop and take the time to look at the little quirks about a loved one that you will miss one day.